When it comes to your health, are your first thoughts about issues like weight, cholesterol and blood pressure? Your eyes benefit from good care as much as the rest of your body does. Follow these tips to keep your eyes and your vision in top shape. Eye problems are not readily evident. 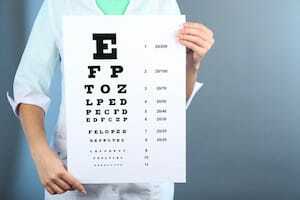 You may not even realize that your vision has diminished until it’s checked by an optometrist. A thorough eye exam will also check for signs of disease or damage. Even if you’re performing a simple home repair, wear safety glasses or goggles to prevent sharp objects or particles from entering your eyes. If your kids participate in sports, make sure they use the appropriate eye protection. Always wear sunglasses whenever you’re outside on sunny days. During the day your hands come into contact with an infinite number of germs and bacteria, from both objects and other people. The best practice is to avoid touching your eyes entirely, but frequent hand-washing will reduce the possibility of irritation or infection. Increasing use of high-tech devices like computers and cell phones has also increased the potential for eye strain. Eye care professionals recommend the 20-20-20 rule: every 20 minutes, turn your gaze about 20 feet into the distance and hold for about 20 seconds. Many diseases and conditions are hereditary. Become informed about any issues your parents and grandparents may have had so you can monitor your eye health for signs and symptoms. For more information about eye health or to schedule an appointment with one of our optometrists, visit our website.